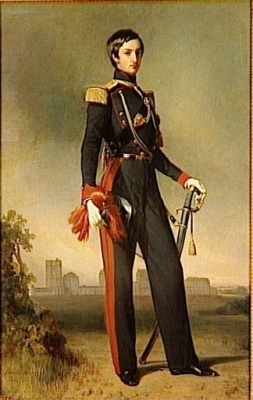 Luigi I di Borbone, King of Etruria was born on 5 July 1773 at PiacenzaG. 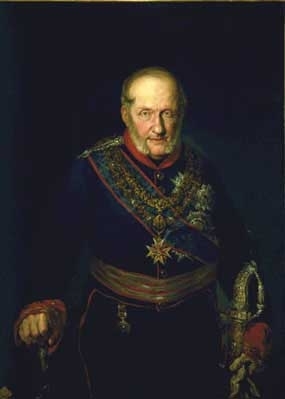 He was the son of Ferdinando I di Borbone, Duca di Parma and Marie Amalie Erzherzogin von Österreich.2 He married Maria Luisa de Borbón, Infanta de España, daughter of Carlos IV, Rey de España and Maria Luisa di Borbone, Principessa di Parma, on 25 August 1795 at Madrid, SpainG. He died in 1803 at Florence, ItalyG.2 He was buried in 1808. 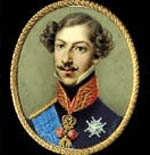 He gained the title of King Luigi I of Etruria.1 He gained the title of Principe di Parma. 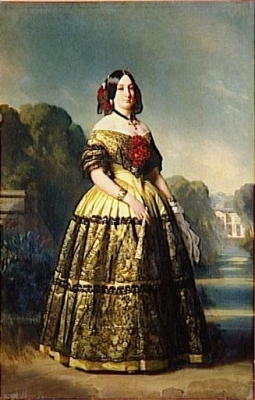 Carlo Luigi II di Borbone, Duca di Parma was born on 22 December 1799 at Madrid, SpainG. 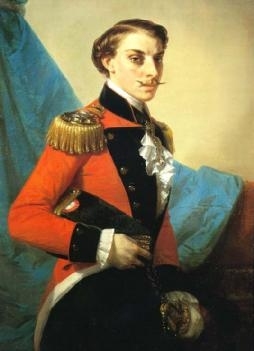 He was the son of Luigi I di Borbone, King of Etruria and Maria Luisa de Borbón, Infanta de España.3 He married Maria Teresa Ferdinanda di Savoia, Principessa di Savoia, daughter of Vittorio Emanuele I di Savoia, Re di Sardegna and Maria Theresia Erzherzogin von Österreich-Este, on 5 September 1820 at Turin, ItalyG. He died on 16 April 1883 at age 83 at Nice, FranceG. [S38] John Morby, Dynasties of the World, page 109. 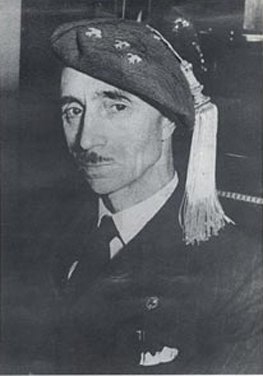 Franz Xavier di Borbone, Duca di Parma was born on 25 May 1889.3 He was the son of Roberto I di Borbone, Duca di Parma and Maria Antonia Adelaide de Bragança, Infanta de Portugal.1,4 He married Marie Madeleine Yvonne de Bourbon, Comtesse de Busset on 12 November 1927 at Lignières, FranceG.3 He died on 7 May 1977 at age 87 at ZizersG. 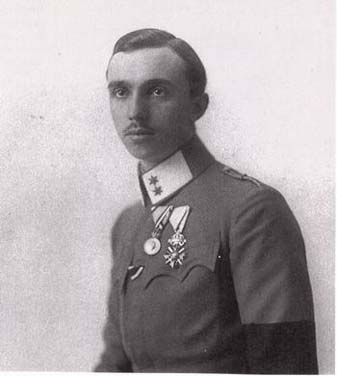 He was given the name of Francesco Xavier Carlo Maria Anne Guiseppe at birth.3 He gained the title of Principe Franz Xavier di Parma.1 He gained the title of Duca di Parma. [S45] Marcellus Donald R. von Redlich, Pedigrees of Some of the Emperor Charlemagne's Descendants, volume I (1941; reprint, Baltimore, Maryland, U.S.A.: Genealogical Publishing Company, 2002), page 60. Hereinafter cited as Pedigrees of Emperor Charlemagne, I. [S12] C. Arnold McNaughton, The Book of Kings: A Royal Genealogy, in 3 volumes (London, U.K.: Garnstone Press, 1973), volume 1, page 451. Hereinafter cited as The Book of Kings. [S12] C. Arnold McNaughton, The Book of Kings: A Royal Genealogy, in 3 volumes (London, U.K.: Garnstone Press, 1973), volume 1, page 432. Hereinafter cited as The Book of Kings.